Seen here is one of the neatest sights we’ve ever found while tooling around town on our bikes. I bet we’ve peddled by this a number of times without seeing it… but this time we did! Wow what an awesome sight it is! 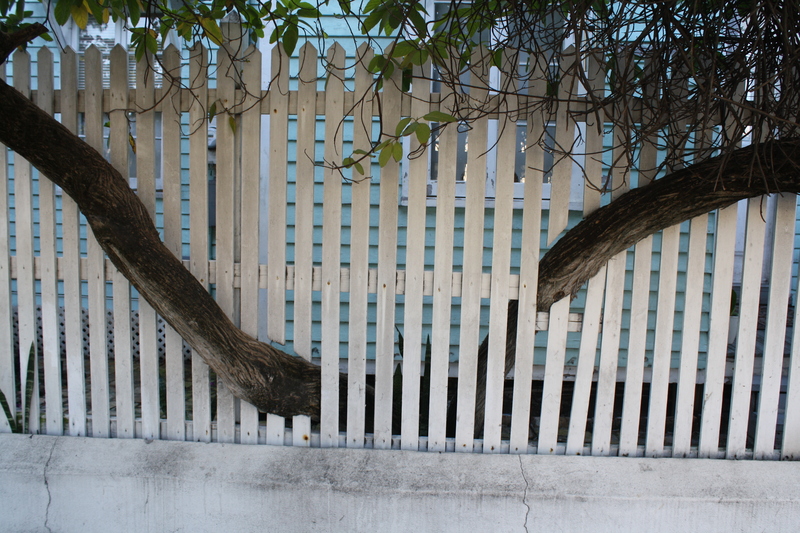 Yes of course this is done on purpose to which I give kudos to the property owner for not chopping down the tree. 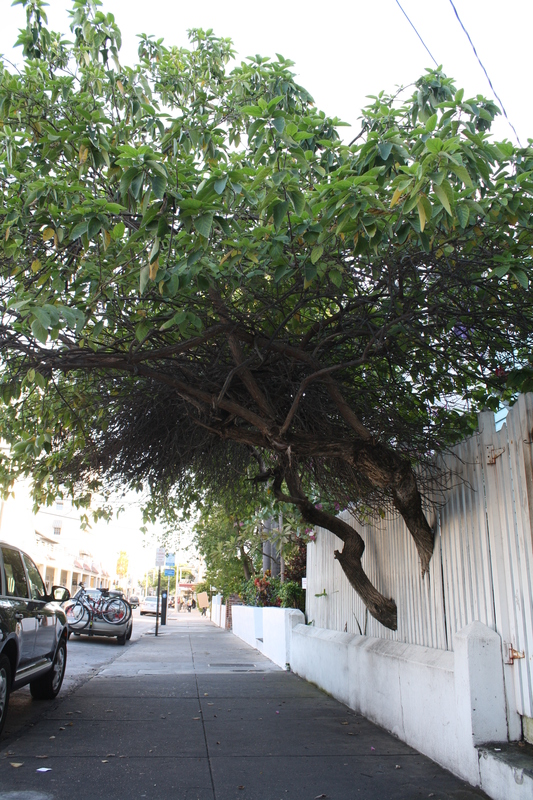 I also give a big high-five to the city of Key West allowing such a great sight to exist on and near the sidewalk. 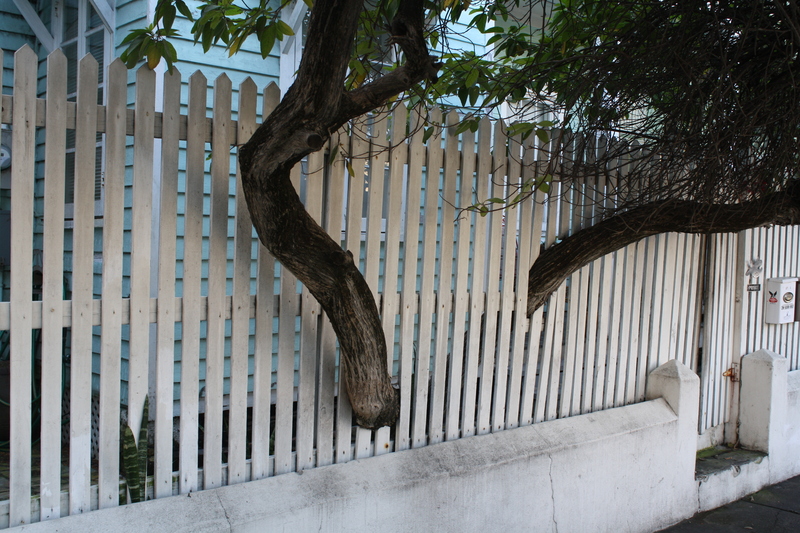 You can find this great oddity at 406 Fleming Street protruding through a fence. Go see it now before some over-boozed bonehead walks into it requiring five stitches suing the owner forcing the city to come by and cut it down!